Today I've posted a lovely vintage Christmas clip art image of Holly and berries. This vintage Christmas printable image is perfect for gift tags, greeting cards, and handmade Christmas Tree ornaments. 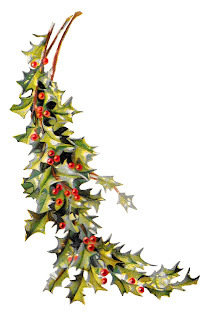 I can also imagine this digital Holly clip art on party invitations. 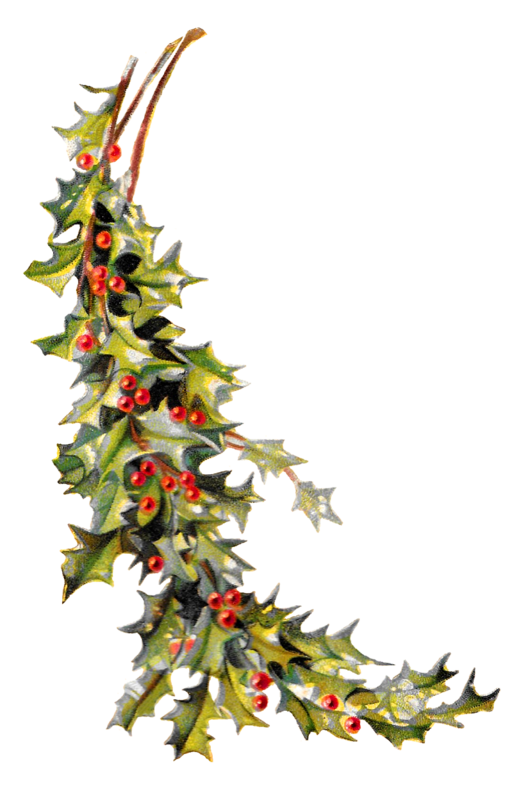 The shape of the botanical artwork illustration is great for a border decoration around pretty fonts on all sorts of Christmas crafting projects. Love the holly! I like holly so much more than poinsettia.